Dr. Kevin Tabb spoke at a state Health Policy Commission meeting in July on the proposed merger of Beth Israel Deaconess Medical Center and Lahey Health. Tabb, now chief executive of Beth Israel, will become the CEO of the combined systems. Nearly two years after proposing the deal, Beth Israel Deaconess Medical Center and Lahey Health received final clearance to merge, striking a compromise with regulators who worried that the new health care giant would raise prices and impede access to care for low-income patients. In a settlement announced Thursday, Attorney General Maura Healey signed off on the merger while imposing constraints designed to prevent the combined hospital system from wielding too much power in the health care market. The new organization — to be called Beth Israel Lahey Health — will provide the biggest challenge yet to Partners HealthCare, the state’s dominant network of doctors and hospitals. Both systems will control similar shares of the market. The agreement with Healey’s office requires Beth Israel Lahey Health to cap price increases on medical services for seven years and comply with other requirements. These are the strictest limits ever placed on a hospital merger in the state, even though some critics said the terms would not stop the heath care market from evolving into an anticompetitive duopoly. Is this the health care breakthrough Massachusetts has been waiting for? Or is it just another burden on consumers in the making? Beth Israel Deaconess and Lahey unveiled their merger plan in January 2017, later adding smaller hospitals to the transaction. The attorney general’s office investigated the merger for more than a year and determined that it could reduce competition, increase costs, and limit access to medical services, particularly for low-income residents. But rather than trying to block the combination with a lawsuit that would have had an uncertain outcome, Healey’s office decided to negotiate a settlement. The agreement also requires that Beth Israel Lahey officials make good-faith efforts to ensure that all of their doctors accept Medicaid, the insurance program for low-income residents. They also must produce advertising targeted at increasing the number of Medicaid patients they serve. “These enforceable conditions, combined with rigorous monitoring and public reporting, create the right incentives to keep care in community settings and ensure all our residents can access the high-quality health care they deserve,” Healey said in a statement. The new hospital system will be required to spend about $72 million over eight years to support community health centers, safety net hospitals that treat large populations of low-income patients, and the expansion of mental health services. The settlement also requires joint business planning with Lawrence General Hospital, Cambridge Health Alliance, and Brockton Hospital — safety-net providers that are affiliated with Beth Israel Deaconess but were not included in the merger. Beth Israel Lahey must pay for an independent firm to monitor the company’s compliance with the settlement for the next 10 years. The merger includes more than a dozen facilities: all of the Beth Israel Deaconess hospitals, all of the Lahey hospitals, as well as Mount Auburn, New England Baptist, and Anna Jaques hospitals. “Today is a really important step forward in the creation of Beth Israel Lahey Health. It’s something we have been talking about and planning for a long time,” said Dr. Kevin Tabb, the chief executive of Beth Israel Deaconess Medical Center, who is set to lead the new hospital company. “Ultimately, patients will be better served with these conditions,” Nesto said. The merger would be the most significant health care deal in Massachusetts since Massachusetts General and Brigham and Women’s hospitals came together in 1994 to form Partners, which has since grown to become the state’s biggest hospital system. 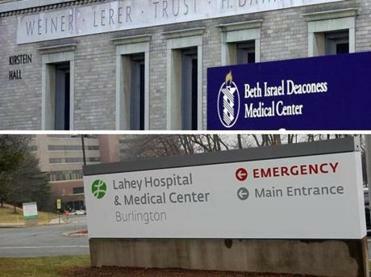 Beth Israel Deaconess and Lahey officials have argued that by merging, they can provide a large, high-quality, and less expensive alternative to Partners. Partners has not opposed the merger. “The combination of Beth Israel Deaconess and Lahey Health will create a strong competitor in the marketplace, and competition is a good thing,” Partners spokesman Rich Copp said. But critics — including some other rival hospitals — worry that instead of increasing competition with Partners, the merger will result in a market controlled by a pair of big, pricey health care providers. Studies have shown that hospital consolidation generally results in higher prices. Boston College health care economist Sam Richardson said seven years of price caps is not enough to prevent the creation of another expensive behemoth in Massachusetts. 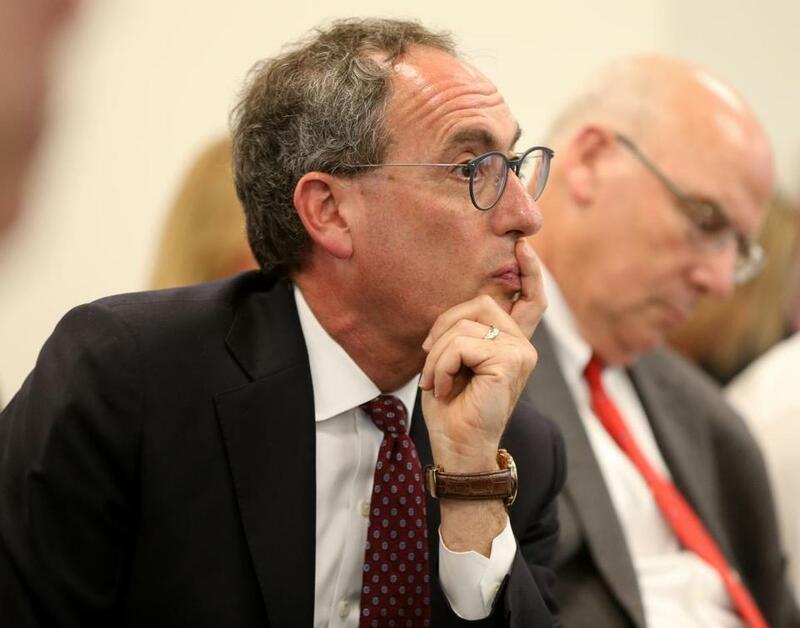 “This is a decision that’s going to impact the Massachusetts hospital market far beyond the next seven years, and I don’t see any way to control what happens after those seven years,” he said. Brooke Hynes, a spokeswoman for Wellforce, the parent company of Tufts Medical Center and other hospitals, also said the attorney general’s conditions fall short. Wellforce officials have long criticized the merger. “This marks a turning point for Massachusetts health care as a second mega system will be allowed to form, increasing costs and doing little to ensure equal access and health care resources for all Massachusetts residents,” Hynes said in an e-mail. A group called the Make Healthcare Affordable Coalition that opposed the merger also said it remained concerned that the deal would threaten access to care for low-income families and people of color. But the Service Employees International Union, Local 1199, which represents thousands of hospital workers, called Healey’s settlement “a strong effort.” And representatives of the Greater Boston Interfaith Organization, which had criticized the merger for its potential to raise costs, said they were pleased to see “real price caps” included. The Massachusetts Health Policy Commission, a watchdog agency that studies mergers, said in September that the merger — unchecked — would give the hospitals the market power to demand substantially higher prices for their services, increasing health spending by as much as $230 million a year. Commission officials said Thursday that they will “provide substantial public oversight and accountability” of the new Beth Israel Lahey system to make sure hospital officials follow through on their promises. The hospitals also must comply with conditions from the state Department of Public Health, including requirements that they expand access to Medicaid patients. The settlement with Healey’s office, filed in Suffolk Superior Court, is similar to an agreement that Healey’s predecessor, Martha Coakley, reached with Partners when that system was trying to acquire three community hospitals in 2014, including South Shore Hospital in Weymouth. That consent judgment was widely panned as being too lenient and eventually was rejected by a Superior Court judge. Healey’s agreement with Beth Israel Deaconess and Lahey is called an assurance of discontinuance under state consumer protection law and is not subject to a judge’s approval. Hospital officials said they plan to complete the transaction in early 2019.